While many of us are holding on to our memories of summer's warmth as long as possible, my local pharmacist has already begun to warn us...we are on the cusp of the flu season. For many people the flu is a nuisance inconvenience, but for the young, elderly and individuals with a compromised immune system, the flu can be much more...it can be deadly. According to the CDC, in 2015 influenza and pneumonia were the eighth leading cause of death in the United States, claiming the lives of more than 55,200 people. So the question that struck me is "what accounts for such a high number of fatalities"? The answer...on average only 40-50% of people get the flu vaccine. 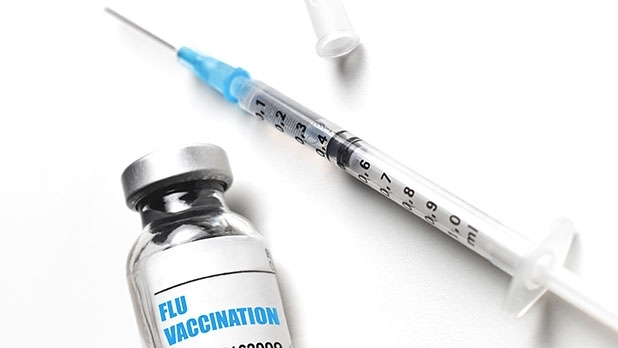 The reason for this low number varies...with the prevailing reasons being...the shot does not work or getting the shot will cause you to get the flu. Until recently, I did not know the intent of the flu shot is not to prevent you from getting the flu but to help lessen the severity of the flu and associated hospitalizations and to help boost the immune system of younger people and healthy adults. After having to be hospitalized for 7 days the year I did not get the flu shot, I am a proponent of getting it every year now. I respect everyone's right to choose what they feel is best for them and their family but all of us can begin now to do things which will help boost our immune system. To learn ways to burst your immune system...read"5 Fast Ways to Boost Your Immune System". Because the flu virus mutates it is important to get the flu shot annually. Keep up to date on this years flu activity on the CDC's Weekly US Map. Whether you decide to get the shot or take other measures to boost your immune system...remember thorough hand washing and practicing good health habits will help prevent and spreading the flu.